What IS the American Triple-T? Well, it’s everything you’ve heard it to be, and more. The event is so much more than your typical “triathlon weekend” — it’s a triathlon achievement of epic proportions for all who partake. It is 3 consecutive days of racing, gelling together 4 races covering a total of more than 70 or 140 miles for the weekend. You will find yourself swimming in the chilly spring-fed lakes, riding the most technically challenging hills in Ohio, and finishing with out-and-back runs along the trail systems climbing and descending those same hillsides. The American Triple-T is not for the weak or faint of spirit. 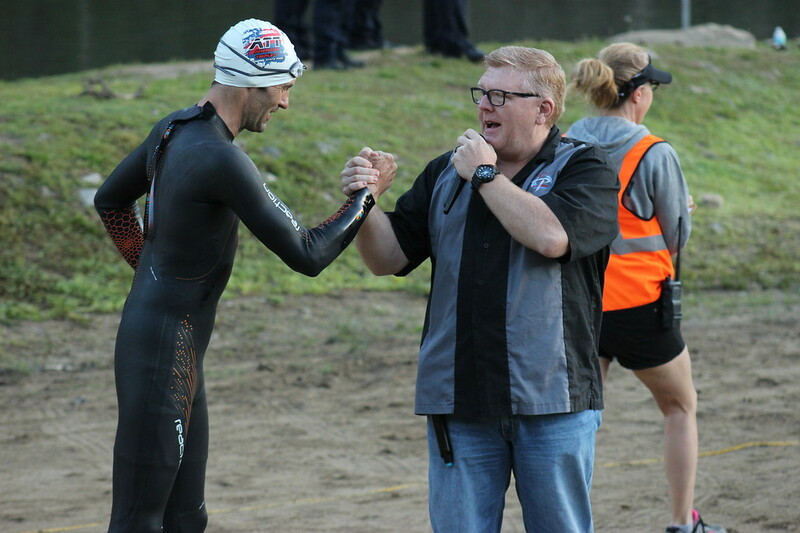 It has humbled many triathletes who didn’t take it seriously, and it validates a host of others who test their “tri-mettle” at the “T” every year. Athletes from all 50 states, and 4 continents have all sought the privilege of earning their American Triple-T finisher T-shirt. Competitors, volunteers and spectators all come away with a new appreciation of the sport and of the athletes who train and tame mind and body to complete this legendary event.